The Dental Channel - Cosmetic dentistry? First do no harm? Cosmetic dentistry? First do no harm? The historical ethical principle of non-maleficence (do no harm) is addressed. Many of the developments in modern dentistry have made it easier to do biologic harm quicker than ever before. Many `cosmetic gurus` promote techniques and approaches that produce short term gains at a huge long term biological cost that is not always made clear to patients in advance nor are they made aware of alternatives. The problem of unnecessary destruction of teeth for elective `cosmetic` dentistry is discussed and how to avoid unnecessary destruction of teeth while still solving patients problems demonstrated. Have a greater understanding of what to avoid and how to still solve problems in a biologically sensible manner. Be aware of how to achieve satisfactory results with a pragmatic combination of bleaching and bonding and changes in vertical dimension. A: Effective communication with patients, the dental team and others across dentistry, including when obtaining consent, dealing with complaints, and raising concerns when patients are at risk. C: Maintenance and development of knowledge and skill within your field of practice. D: Maintenance of skills, behaviours and attitudes which maintain patient confidence in you and the dental profession and put patients’ interests first. Martin G D Kelleher MSc. FDSRCPS, FDSRCS (Ed. ),FDSRCS ( Eng.) has a private practice in Bromley, Kent and is a Consultant in Restorative Dentistry at King`s College Dental Institute at Guy`s, King`s and St Thomas` Dental Hospitals. Martin G D Kelleher graduated from Dublin in 1971, completed his Masters at the Eastman Dental Hospital in 1978 and spent another seven years in higher training to be an accredited specialist in restorative dentistry. He is a Consultant in Restorative Dentistry at King's College London Dental Institute. He was postgraduate tutor at King's College Hospital and Guy's Dental Hospital for many years. He is a past president of the British Society for Restorative Dentistry and also served on the Board of Dental Protection Limited (DPL) for 10 years (until 2010), latterly as Chair of its Advisory Committee for Dental Claims. He is a Fellow of the Dental Faculties of the Royal Colleges of Glasgow, Edinburgh and London. He is a former examiner for the Intercollegiate Speciality Examination in Restorative Dentistry. He is on the General Dental Council Specialist Registers in Restorative Dentistry and Prosthodontics. Martin has lectured extensively both nationally and internationally for over 25 years and is the author of many peer reviewed articles and a book on dental bleaching. What the course contains and how to make best use of it. 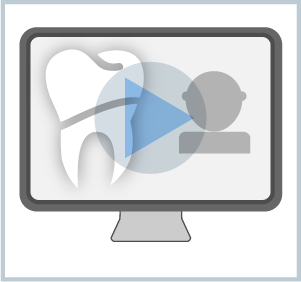 Record what you have learnt, note further activities or learning needs identified, and provide feedback for both the presenter and The Dental Channel. Plan Cosmetic dentistry? First do no harm?